Welcome to Zych's! Your car is in good hands. Look forward to quality work from an honest company. 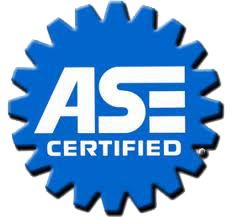 ASE Certified ASE's tests are industry-driven and improve the quality of vehicle repair and service. Monthly Newsletter Click here to add your email to our monthly newsletter to receive tips, reminders, and special offers. Hello & Welcome to Zych's Certified Auto Service. Along with stellar auto repair service, we also have a blog full of tips, tricks and tidbits. Check it out! Your car will thank you. Helping you save money, we occasionally offer discounts. Know that your car is in good hands with 24/7 surveillance. Learn the basics of how to maintain a vehicle. Sign up and get great tips & special offers. At Zych's, we make sure that you get the best service possible. Have a car question? Just want to learn? Feel free to browse the blog and comment. Have a question? Send it in and we will feature the Q&A. "...stop in at Zych's...they will treat you right! My first trip was by recommendation of a friend and I've never looked back. When service is complete on your vehicle you will be introduced to the parts that failed you, without having to ask or demand, a line by line assessment of the work performed and suggestions for the future. All of this with a friendly, professional smile and a price tag that won't leave you feeling icky, dirty, and more broke than the problem/parts they replaced! I have never left wondering whether the job was done right and for a fair price....what more could you ask for? "